Welcome back to part two of our Women in Horror 2018 round table! Last week, we discussed how our nine featured authors became enthralled with the horror genre and what Women in Horror Month means to them. This week, we’re delving into how the current political and social climates have affected their work as well as those tales from other female horror writers that deserve even more attention. So without further adieu, let’s get started! Far too often, women are underrated in the genre. So to shine a light on those who aren’t as appreciated as they ought to be, what recent story (or stories) have you read in the past year that was written by a female horror author but didn’t get as much attention as you think it deserved? Anya Martin: That’s a tough one because there are so many women writing great horror today. 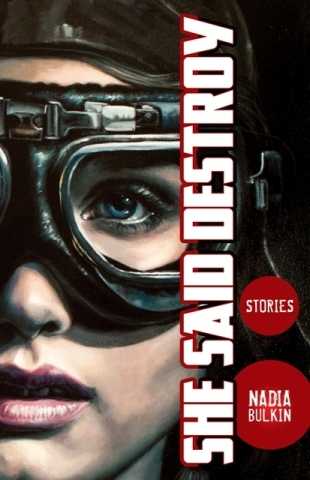 In terms of collections from the past year, everybody should absolutely get their hands on Nadia Bulkin’s She Said Destroy (Word Horde) and Selena Chambers’ Calls for Submission (Pelekinesis). I was particularly struck by their powerful realistic portrayals of female protagonists. I hope to see both receive awards nominations this year. Also Christina Sng writes incredibly powerful cosmic horror poetry. Her collection A Collection of Nightmares (Raw Dog Screaming Press) is a must-read, especially if you don’t think poems can profoundly disturb. And for a collection, Sycorax’s Daughters (Cedar Grove Books) features horror stories and poetry by both established and up-and-coming African-American women. I was so happy to see that on the Stoker Awards preliminary ballot and hope it makes the final (Gwendolyn’s note: And it did make the final ballot! HOORAY!). For a more classic author I read last year worthy of discovery, Zenna Henderson is better known for her science fiction People stories, but her horror short stories like “Hush,” in which a little boy creates a “Noise-eater” and his babysitter is helpless to halt its hunger, pack a really tough punch. Start with her collection The Anything Box. 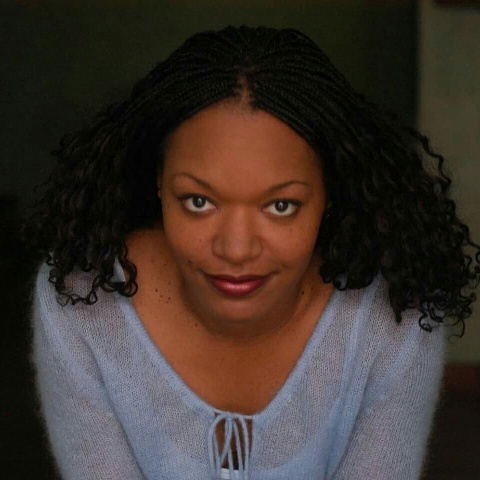 Sumiko Saulson: I’ve been really swamped, but I have managed to read some new and not so new women’s horror… How to Recognize A Demon Has Become Your Friend by Linda Addison, Ramses the Damned: The Passion of Cleopatra by Anne Rice and her son Christopher Rice. 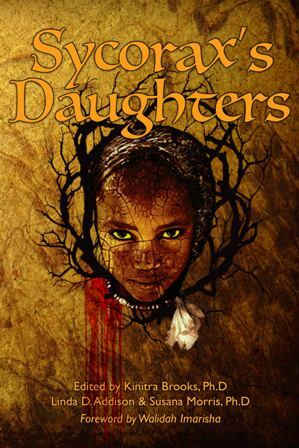 You should check out the black female horror writer’s anthology Sycorax’s Daughters, which came out in 2017. I was in an anthology called Forever Vacancy: Colors in Darkness, which includes a lot of black authors, many of them women. Catherine Grant: KL Pereira’s A Dream Between Two Rivers: Stories of Liminality is a gorgeous, well-written collection that I don’t see on enough lists. Margaret Killjoy’s anarcho-horror-mystery novella The Lamb Will Slaughter the Lion was also really well done but I didn’t see it on any lists. Both KL and Margaret write clean, beautiful prose in a very distinct, fresh voice that is engaging to the reader. Denise Tapscott: I agree that women are underrated in horror. Female horror authors never get as much attention as they deserve. 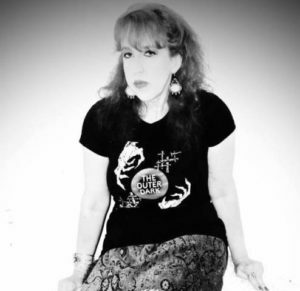 One of my all time favorite horror writers is Eden Royce. I have an affinity for Southern gothic tales and each of her stories is a treat. When I mention her work to other people, they give me a blank stare. I remind people that there’s more to read than just Stephen King, Then I insist they buy her collection of short stories. Of course, there is also you, Gwendolyn. I love your work! After I drop Eden Royce’s name, I mention you. Your book And Her Smile Will Untether the Universe is a great collection of short stories. I won’t drop any spoilers, but there is one story in particular that creeps me out and I love it! I can hardly wait to read Pretty Marys All in a Row. There are many women in horror that inspire me, and both of you lovely ladies stand out in my mind first when it comes to current writers. Rebecca Allred: Grass by Anya Martin – This was released as a limited chapbook from Dim Shores, so only 150 copies were available, but I really dug it. I hope Anya finds a good reprint market (or includes it in a future collection, hint-hint) so more people can read it. 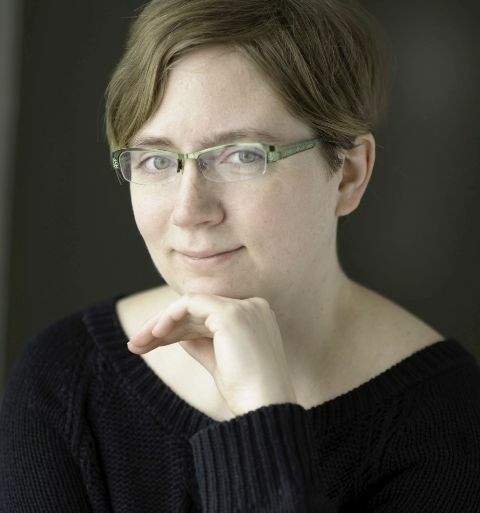 Nadia Bulkin: I never have a good sense of how much attention anything gets, but I’ll note here a couple stories by authors I hadn’t read before – I really liked “Mental Diplopia” by Julianna Baggott in Tor, a very soulful yet creepy take on an apocalypse, and “The Name, Blurry and Incomplete in His Mind” by Erica Mosley in The Dark, a really nifty interpretation of a broken family. Carrie Laben: Chavisa Woods’ incredible collection Things to Do When You’re Goth in the Country wasn’t marketed as horror, but it contains some of the most chilling fiction of the year including a story called “Zombie” that contains no zombies and a story called “Take the Way Home That Leads Back to Sullivan Street” that does contain a ghost. There are also aliens and devil-worshipers, and goths of course, and the vast horrors of the geopolitical situation and the tiny horrors of living in a close-knit small town. Brooke Warra: Oh wow, there are really so many fantastic women in horror, yourself included, whose stories have resonated with me over this last year especially. Without giving too much away about the stories themselves, I recently read Tales from a Talking Board and Anya Martin’s “Weegee, Weegee, Tell Me Do” as well as S.P. Miskowski’s “Pins” have been haunting me ever since. I think both stories, for me, were about the secret lives we often live as women, and being more than the sum of crimes that have been perpetrated against us, but also, in the end, having to bear the consequences for those crimes, and really, that can be more horrifying than anything supernatural in the plot, or at least it was for me, personally. How, if at all, have recent political and social upheavals figured into your work? Do you feel that horror as a genre is uniquely suited to address the current state of the world, or not? Anya: I’m not sure about horror per se, because some horror can be intrinsically conservative, i.e. maintaining the status quo. But I’d definitely say Weird horror fiction is. The political sphere in the United States is distinctly and disconcertingly Weird. I addressed this directly in my The H Word column, “The Weird at the World’s End” (Nightmare Magazine, Feb. 2017), and Helen Marshall said she sensed a shift already while editing the Year’s Best Weird Fiction, although Trump had not taken office yet in 2016. The challenge may be with the world so Weird, what is Weird any more? I tried to explore the growing sense of unease in “Boisea trivittata,” which I wrote for Looming Low anthology (Dim Shores). That story came out of an infestation I experienced of these seemingly pointless harmless insects which appeared suddenly at my house last January. In my case, they strangely mirrored the building unease for so many of us during the transition of power from President Obama to Trump. In the story, I tried to suggest a fascist shift without making it heavy-handed—which I think is the challenge whenever directly addressing politics in a story, not overpowering the horror or the Weird with too much explanation. Kenya Moss-Dyme: Horror and sci-fi are perhaps the best genres to address the craziness in the world we live in! When we see social themes occur in comedy, I think it’s too easy to be entertained and then dismiss it. But when we apply an element of horror to something going on in our world, it gets people to pay attention and it unnerves them. They start out thinking, that’s ridiculous, it could never happen. But then, they wonder…could it? Sometimes you need to really scare people to make them listen. I’m working on a couple of things that have strong social themes that might be a little upsetting to read. But if it makes you emotional then that means you’re thinking about it and talking about it, instead of just reading it and walking away. Sumiko: More and more of my stories seem to resemble the movie Get Out, or an old Twilight Zone or Outer Limits episode, so I would have to say that I’ve had an uptick in political horror, as well as afrocentric horror. I’ve always written female-centered, multicultural stories. Feminism has commonly been a theme, but increasingly, I find that issues of racial injustice are taking front and center in my stories. It’s a turn off for some of my original audience members, but I’m more popular than ever and being invited to more and more conventions, and to participate in more and more anthologies, so I guess it’s a trade-off. I am much more competitive as a political horror writer than I was trying to compete with a bunch of mainstream writers and become the next great horror writer or the next Stephen King or Anne Rice. I’m better off sounding like Octavia Butler, even if some find it preachy. Catherine: Recent political and social upheavals have left me feeling depressed and hopeless, which has affected my work in that it has staunched my productivity. I struggle to form a single, cohesive thought that could translate into a story or novel because I am feeling and thinking so many things at once. Most of my fiction is rooted in a theme that is deeply personal. It is usually a time capsule of a thought that I’ve rolled over in my mind repeatedly, blended with a “what if” scenario. For example, a recent story I wrote is about how siblings often remember their childhoods differently. What if the way they experience a ghost or apparition is affected by how they perceive their memories of that person? I have an inkling that all of what I’m feeling right now about our current administration will eventually roll around in my head until it either is dust or becomes something substantial and is written down. Denise: Political and social upheavals seem so scary and so painful these days to me, that as a writer I have challenged myself to find a way to address what’s going on. Horror as a genre is perfect for that. We have a larger palette to draw our stories upon. Rebecca: Parts of my story “When Dark-Eyed Ophelia Sings” were inspired by recent events. And I wouldn’t say horror is uniquely suited to address the current state of affairs, I think sci-fi, bizarro, and other genres also lend themselves quite nicely, but I feel like horror might be the most natural fit for those kinds of stories. Nadia: I think so much of human existence is horror, unfortunately – the horror we inflict upon each other and upon ourselves. People are cruel. People are desperate. People are afraid. And horror begets horror, of course. I absolutely believe in hope and heroism and virtue; but I believe those things are rare and precious and on a massive uphill battle. That being said, I rarely write directly about things that are actually happening in real-time. I think that’s because I write for the sake of processing, and if events are still ongoing, you don’t have the complete picture yet; maybe also because I believe in putting a little bit of distance between fiction and current events. So I still write about Indonesia in the 1960s-90s through the early years of the post-Suharto era, and then I stop. My story “There Is a Bear in the Woods” (quoting a Reagan campaign ad) is part of an extended alternative universe inspired by a combination of the American Tea Party and the George W. Bush era (which defined my high school and college years), and that’s about as recent as I’ll go. I still believe everything is political, and even a story that doesn’t directly focus on political themes is still written and still read in modern political context. It’s up to the writer to decide how they want to use that fact. Carrie: Everything that addresses the current state of the world certainly contains elements of horror, so there’s that. For me the source of tension in my writing has always been how precarious life is because the basic assumptions we use to make it bearable are just that – assumptions. I started with the assumption “families love each other” and I’ve recently moved on to the assumption “there’s virtue in hard work” and we’ll see what I termite-chew through next and what collapses. Brooke: I think now more than ever, the female voice is so powerful and I think horror, and in particular women in horror have the opportunity to address the current social and political climates. Horror has always had the ability to put a face on evils of the real world around us, whether it’s apathy, or prejudice, or violence, horror gives the underdog, the outcast, the preconceived “weak” among us a fighting chance, and so often the things we believe are holding us back turn out to be our greatest weapons in horror. I think it’s a genre that crosses a lot of imaginary lines we draw around ourselves in our daily lives and we can all come together and unite against a common enemy and fight back. And that’s part two of our Women in Horror Month round table! Come back next week as we discuss these authors’ advice for up-and-coming female writers as well as their hopes for the future of horror! This entry was posted in Fiction, Interviews and tagged Women in Horror Month 2018 on February 14, 2018 by gwendolynkiste.